For our various free products, simply right-click on an image below and select "save as" to download a book to your computer. This sourcebook for the Pathfinder Roleplaying Game provides players and GMs with guidelines and rules which bring vampires to life in a way fantasy roleplaying games have never done before. Included are rules that make vampire characters more accessible to players, as well as broadening the different styles of vampire available. Finally, the book contains an all new rules system which drives home the vampire’s hunger for blood, and will make your players see the game in a whole new way. 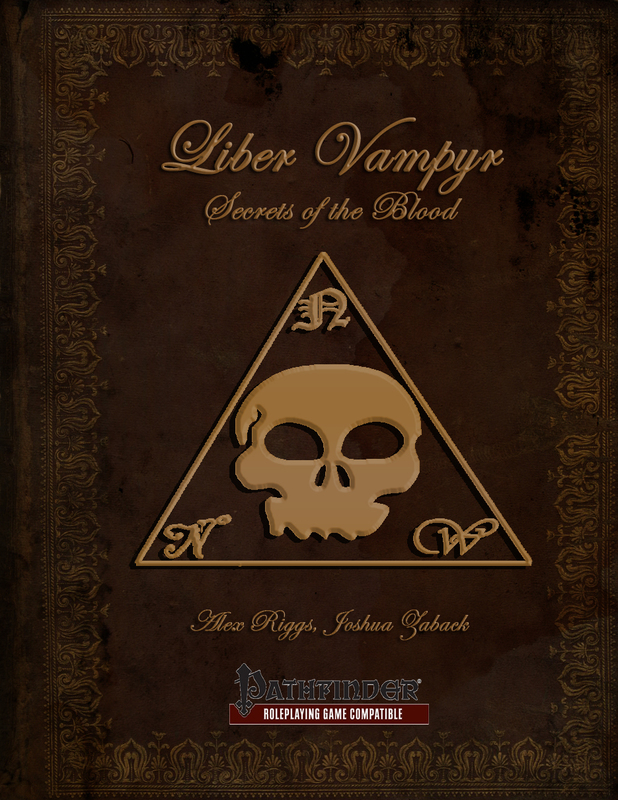 Completely rewritten from scratch, the latest and greatest version of Liber Vampyr was released in October of 2013. 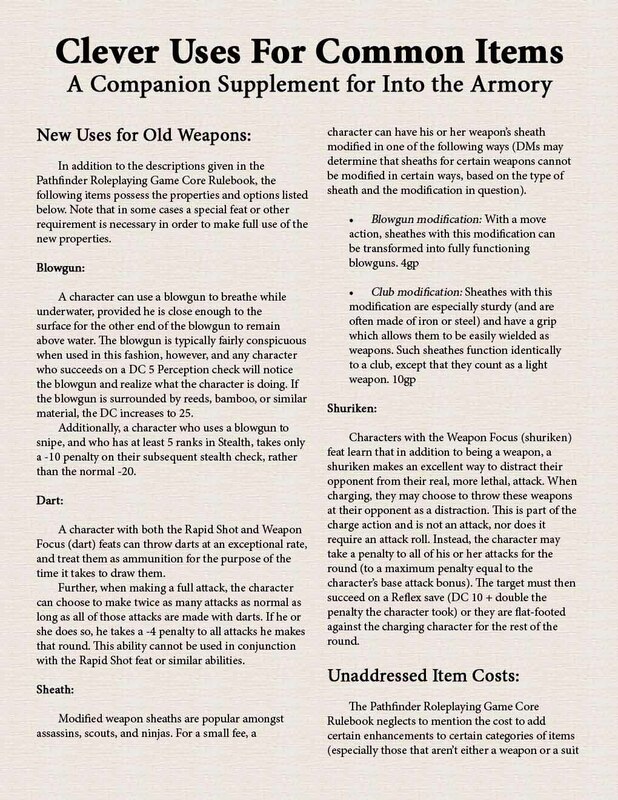 For those of you who joined us at Paizocon 2014 to sample Necromancers of the Northwest's upcoming Choose Your Own Character Creation Adventure method, you can find additional character creation sheets here. For the rest of you, the character creation method will be available some time in the future. For low fantasy and standard fantasy, click here. For high fantasy, click here. For epic fantasy, click here. Meet the kami, powerful spiritual beings from Japanese mythology which are tied to the land, and have strange and mystical powers. This book introduces the kami subtype, as well as ten different kinds of these strange psuedo-elemental creatures which spend more time as spells than as monsters! Each kami is provided at three different CRs, representing the varied power of the creatures and allowing them to be easily included in any game. 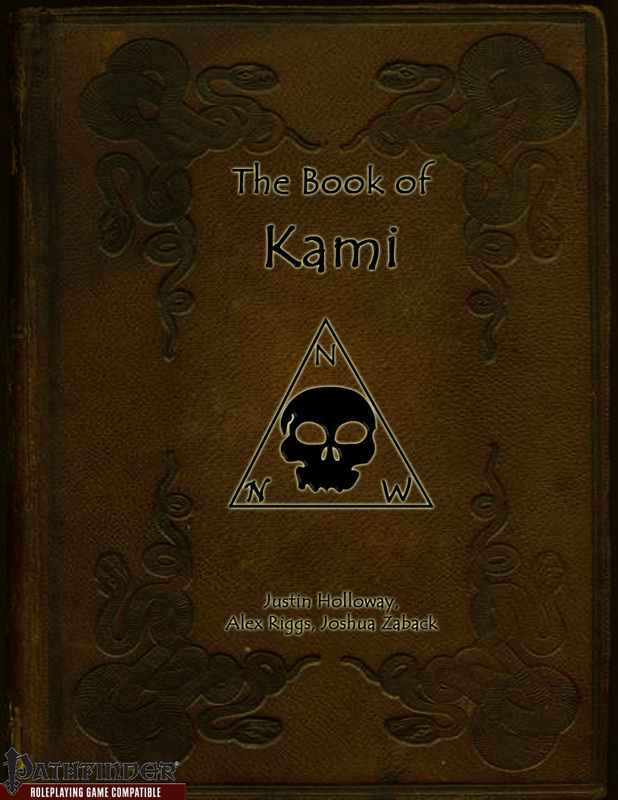 Also included are in-depth ecologies which provide DMs with numerous suggestions for how to use kami in their games, both as antagonists and as allies! 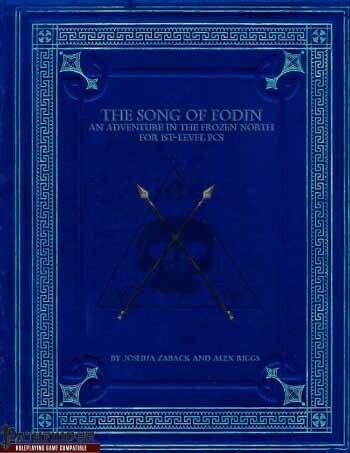 Discover the Legacy of Ather Fodin! When a freak storm leaves the PCs stranded on the isle of Mjorin, their first priority becomes surviving long enough to get off the frozen wasteland. But Mjorin is also home to a mysterious legacy, the Regalia of Fodin, a set of artifacts which once belonged to that legendary figure. Will the PCs recover the artifacts in order to bring peace to the community of orcs who still revere Fodin as a prophet, or will they hand them over to treasure-hunters in exchange for passage home? Perhaps they'll keep the relics themselves. Before they can, though, they'll have to get their hands on them: no easy task, as the relics are protected by a series of trials designed to test the PCs' wit and cunning as well as their strength of arms and purity of spirit. 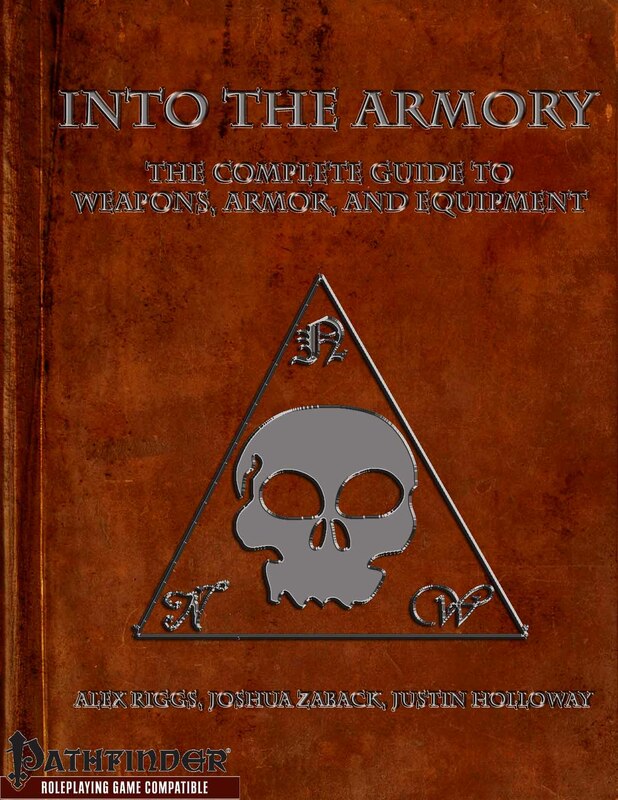 This Sourcebook for the 3.5 OGL and the Pathfinder Roleplaying Game contains cartloads of new weapons, armor, and other equipment for DMs and PCs. In addition to these tools and treasures any adventurer would kill to have, this book also contains rules for Quasi-Magical items, a new class of semi-magical utility designed to both provide useful tricks for clever players, and to provide fun and exciting adventures. Finally, the book provides a set of optional variant rules for using siege weapons, and a number of exciting new siege weapon enhancements designed to enhance your game whether you use the variant rules or the original ones. Version 1.1 Updates: Please see our changelog. 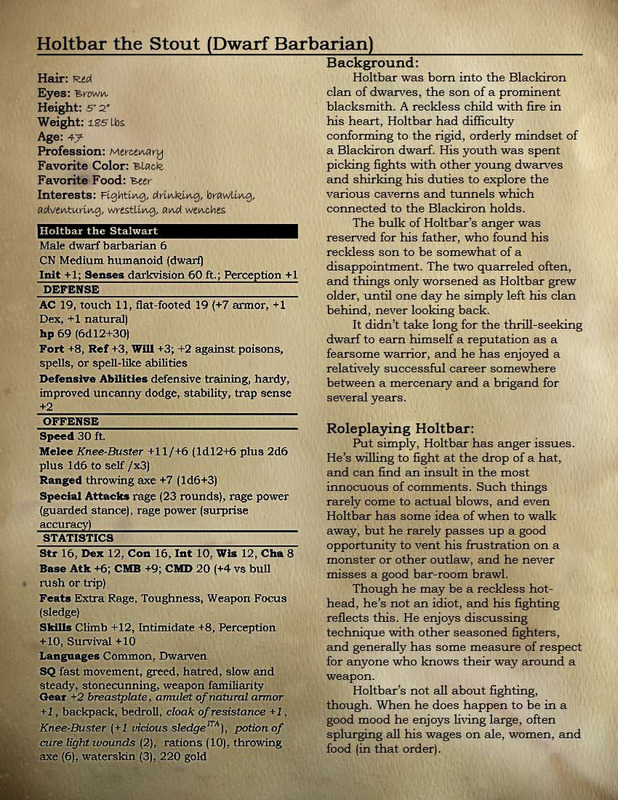 This free add-on to the War of the Goblin King adventure module provides eleven pre-made characters designed to be used with the adventure. Each character comes with a short backstory and personality description, as well as a full stat-block. 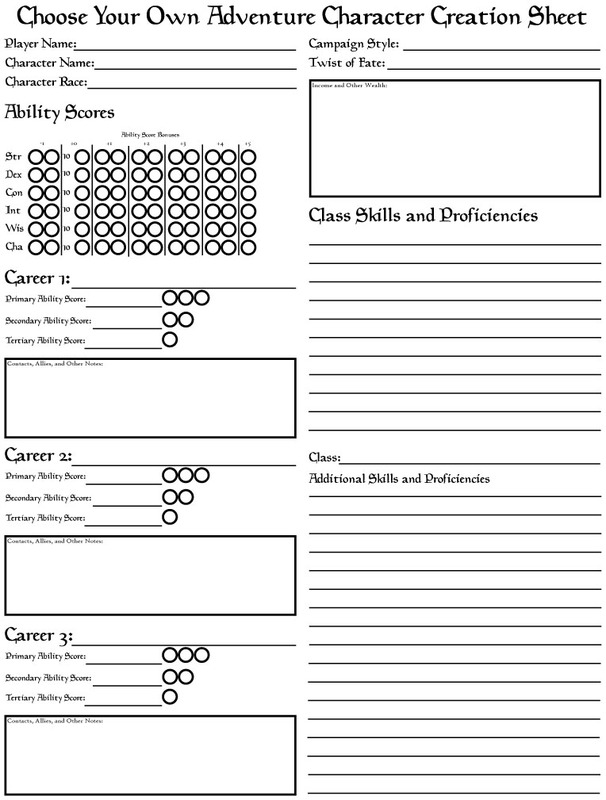 DMs who are so inclined can also use the characters as quick NPCs for when they need a rival party of adventurers in a pinch, or could use the existing biographical information as a spring-board for a fully fleshed-out and interesting NPC to place in their game. This short supplement is designed to go with Into the Armory, and provides a few miscellaneous new rules to spice up some existing items, making them more fun and dynamic to play with and rewarding clever creative players who want do cool and exciting things.